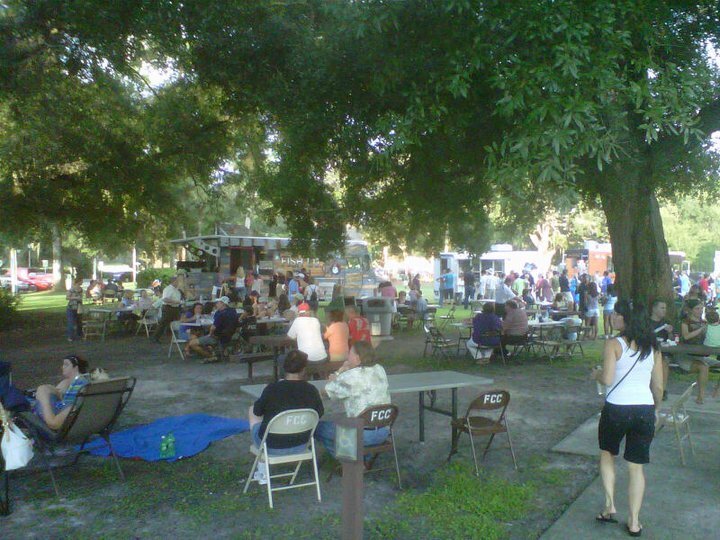 Orlando's Food Trucks: Apopka Food Truck Round Up ~~ Tonight!!! Apopka Food Truck Round Up ~~ Tonight!!! 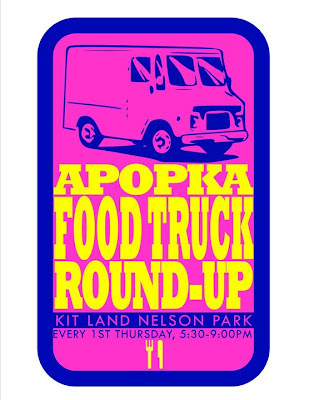 Come out an enjoy a variety of foods from various vendors at the Apopka Food Truck Round Up. Approximately 10 trucks will gather around the gazebo, where entertainment is provided. Come and experience gourmet cupcakes, gatsto-pub fare, brisket, seafood, locally grown foods, and much, much more! -Bring cash. While some trucks accept credit cards, not all do. -Try a few things. 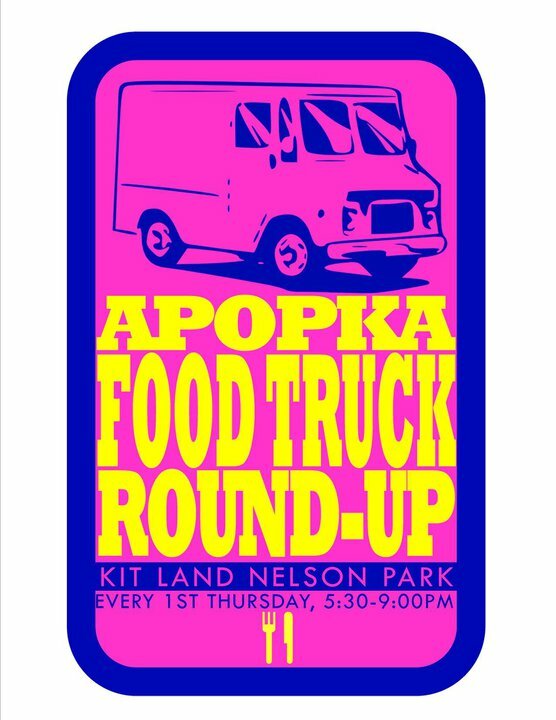 To get the full food truck experience, foodies suggest trying a main course from one truck, side item from another, and a dessert from another.-Tables and chairs are provided by the City of Apopka, but if you want to make a picnic out of it, bring a blanket. 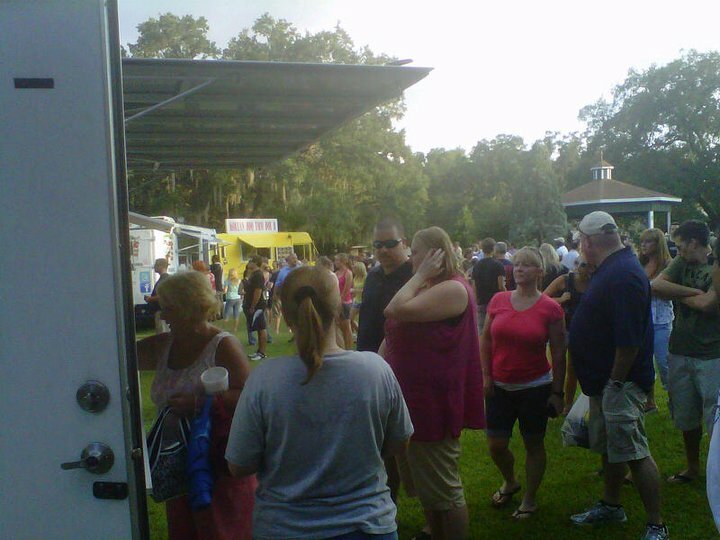 -Be prepared to wait 2-5 minutes in line, as food is freshly prepared. This is not fast food, rather a restaurant on wheels. 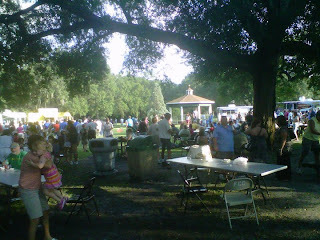 Pictures from their past event!